Why do I need interoperability? 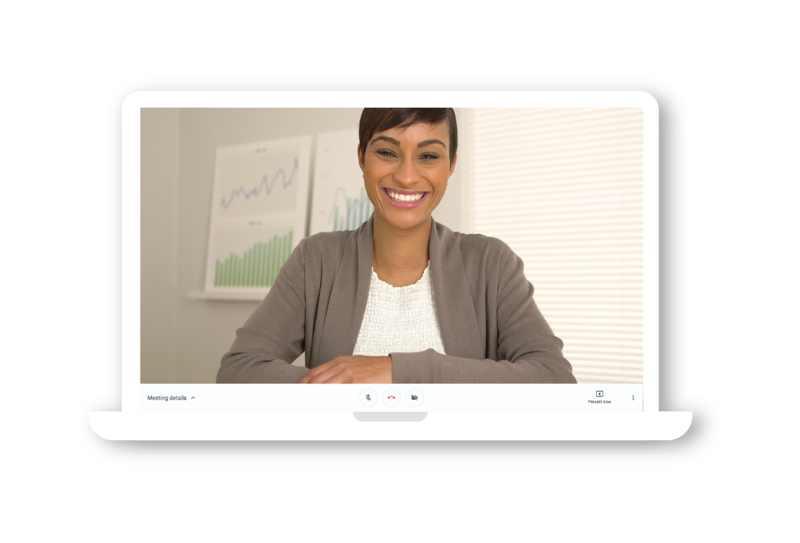 Interoperability is essential if you want to allow non-Meet participants (those using traditional video conferencing and other modern software-based video communications clients) to join your Meet calls and have the same high-quality video and content-sharing experience. With Pexip, you get an approved, tested, and verified solution that enables you to invite people with other video-capable solutions to join your Meet video calls. Read on to find out how interoperability can encourage collaboration, enhance your business communications, and make better use of existing investments in video. 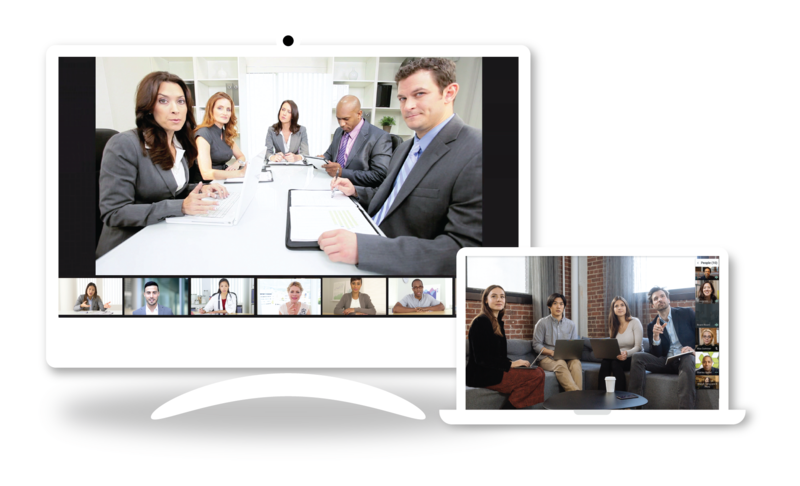 With Pexip interoperability for Hangouts Meet, groups can use video conferencing systems in dedicated meeting rooms, individuals can use their desktop video endpoint, home workers can use their software endpoints, and those who are out and about can use their mobile devices to join Meet video call — and everyone will always know where and how to meet. What you want is for people to focus on the substance of the meeting rather than the logistics and technology being used. Of course, your high-profile boardroom has a high-quality video room system installed. 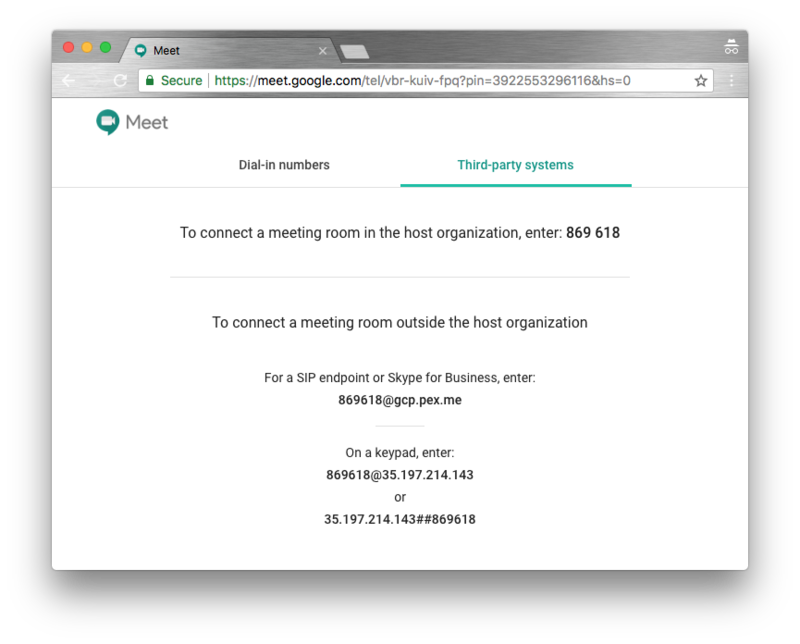 If you want to join Meet calls from the boardroom, or any other meeting room system for that matter, you need to enable interoperability between that meeting room, and Meet. Then you can simply use the existing remote control or in-room dial pad and dial the address of the Meet call, just like you would when calling any other room or system. 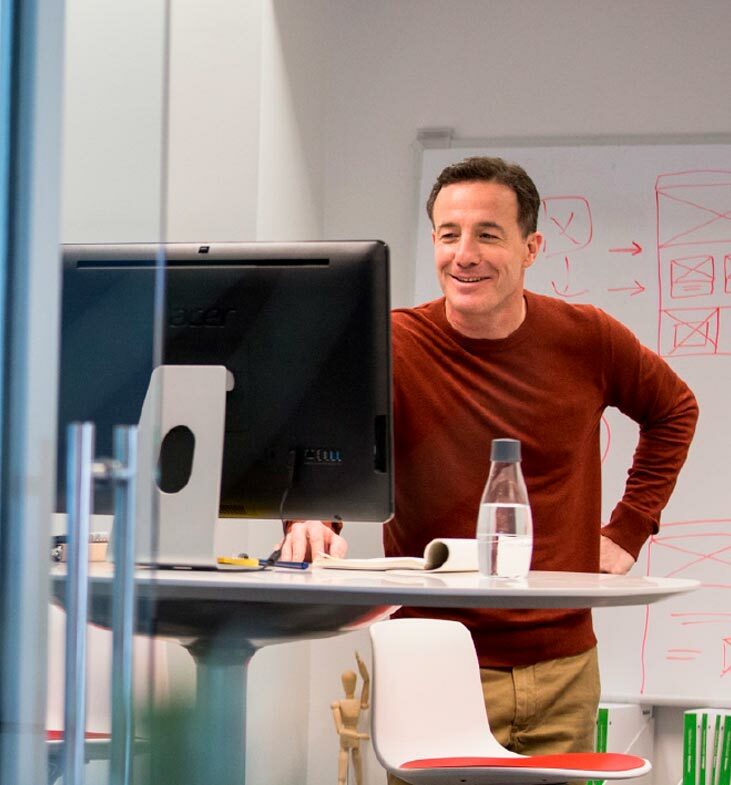 In today's geographically-distributed workplace, employees in different locations need to come together to collaborate. And when they do, they are often multi-tasking — showing what they're working on as they speak to each other, or messaging each other while reviewing what's being shown. 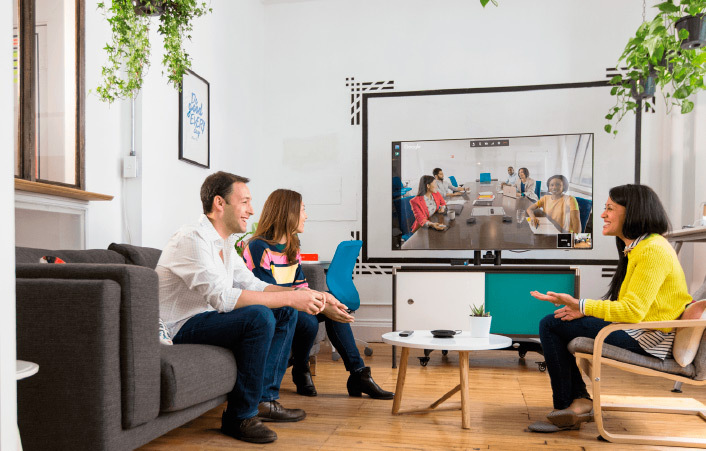 Modern video collaboration tools support all this functionality, and allow workers to communicate quickly and simply in whatever format suits them best. The easier video is to use — across technology silos — the more your teams will want to use it. By enabling frictionless meetings for everyone your team gets more done quicker. 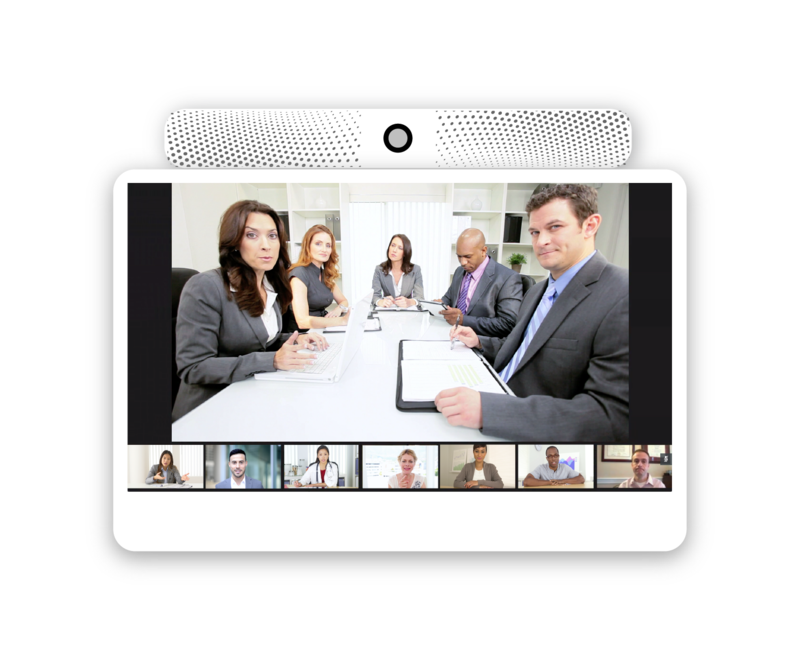 You may have other software-based video conferencing solutions already installed on your laptop. Don't worry, you can use the majority of those to join a Meet call. Simply look up the address to dial in the calendar invite you received when the meeting was booked. When dealing with partners and customers outside your organization, it's vital to be able to see the person you are speaking to. Not only does this bring a sense of connection, but it allows you to observe facial expressions and body language to help you understand what your associate is really thinking. And with video, you can share content with the click of a button. Until now, disparate technology was a barrier to quick and simple video communication. Not any more. With Pexip interop for Hangouts Meet, it doesn't matter which video systems your partners and customers are using. You can have high-quality, content-rich communication whenever you need. Often, organizations have too many solutions for communicating. That means too much time is spent switching between apps, rooms, and solutions. Time that could be spent efficiently is often wasted. With Pexip for Google Hangouts Meet, your organization will stay in the workflow regardless of how they join meetings. No more wasting time.